In this lesson, we will learn how to add one-digit and two-digit numbers in problems involving decomposition, number lines, word problems, and pictures. There are 20 people in a swimming pool. 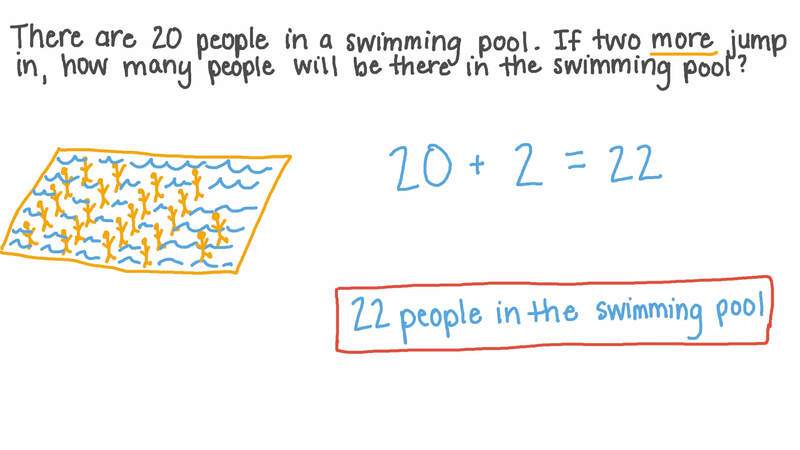 If two more jump in, how many people will be there in the swimming pool? There should be the same number of blocks on each side of the equal sign. How many blocks should be in the empty square? There are 34 students playing in the park. Adel, Amir, and Ramy decided to join them. Find the total number of students.